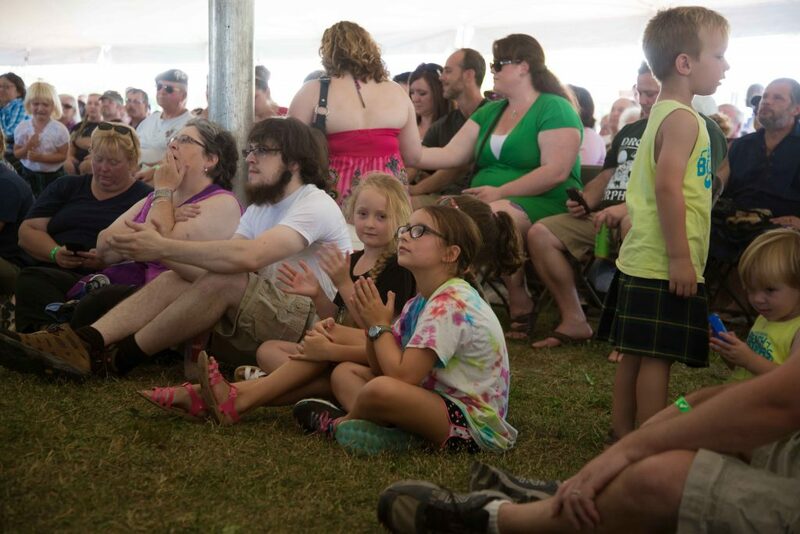 We strive to make the Capital District Scottish Games enjoyable for all that attend each year. We answer many questions about the games each year, here are a few that we receive regularly. If you have a question that isn’t listed below please feel free to email your questions to contact@scotgames.com and we respond to you in a timely manner. Please note, that if you are trying to contact us at anytime during the event, please understand that we have limited access to our emails at that time. Please find a committee member, games staff, or visit the information booth on the grounds and they will help you with your questions or concerns. Thank you. Are dogs allowed on the fairgrounds during the games? Restricted Access: Yes, dogs are allowed on the fairgrounds during the games. They are however NOT allowed inside/under the Main Beer Tent or Poll Barn. All dogs must be leashed at all times and the owner is responsible for any and all personal damage or incident that may occur . Also the owner is responsible for cleaning up after their dog and disposing of the waste properly. Are coolers allowed on the fairground during the games? Restricted access: Yes, coolers with personal food and non-alcoholic beverages are allowed on the fairgrounds during the games. They are however NOT allowed inside/under the Main Beer Tent or Poll Barn. The New York State Liquor Authority prohibits any and all outside alcoholic beverages within the fairgrounds during the Capital District Scottish Games. There is no specified smoking areas on the fairgrounds. Smoking is however NOT allowed under the main beer tent or poll barn entertainment areas. If you are found smoking in these areas you will be asked to extinguish it or to take it outside that area. Is there space for a pop-up or EZ-UP tent? ONLY IN THE HIGHLAND DANCE AREA with restrictions: EZ-ups/Pop-up tents are allowed in the Highland Dance area for registered competitors and their families only. You must check with CDSG staff in the Dancing registration tent before placing your tent up. They must be NAILED/STAKED DOWN. Personal EZ-ups/Pop-up tents for the general public are NOT allowed on the grounds. 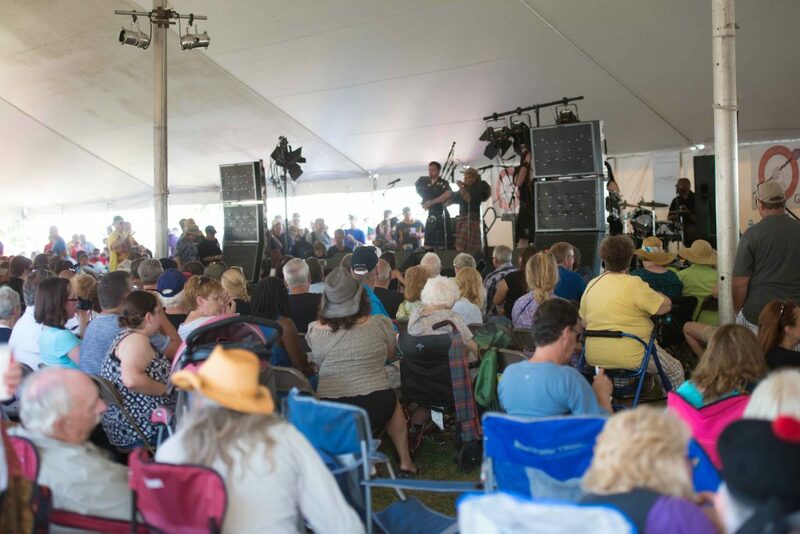 We provide ample tented/shaded areas for guests to sit, relax, and enjoy the Capital District Scottish Games. Are there ATM's available on the fairgrounds? Yes, there are ATM’s available on the fairgrounds. The locations of the ATM’s are marked on the map that’s located within the games program. Are there shuttles available in the handicap parking area? Yes, we offer two golf cart shuttles for handicap guests. Please ask the gate personnel upon entry and they will contact our shuttles for you. Where can I find the schedule of events or the stage band play times? The schedule of events is posted on line at least one month before the games. It is also in the official games program along with a map of the fairgrounds, which is available for purchase inside the entry gates. The show times for the stage bands are posted in the main beer tent and the poll barn, they are also are printed in the program. We do our best to try and stay to the schedule we produce but sometimes, due to unforeseen circumstances the schedule will have to change on the day of the event. How do I volunteer at the games? You can volunteer at the game by visiting the volunteering page on our website and emailing our volunteer coordinator Tim Castle. You can also visit the Information Tent at the games and give your contact information for next years games. How do I make a donation to the Scottish Games? Donations, big or small, can be made to the Capital District Scottish Games by sending a check to The Capital District Scottish Games, P.O. Box 13792, Albany, NY 12212. The Capital District Scottish Games operates under the auspices of The Schenectady Pipe Band which is a 501(c)(3) not-for-profit organization. Your donation is tax deductible.